The Texas White Horse Ranch has been providing the world with top notch equestrian entertainment for the past half century. The ranch was founded in 1968 by Don and Jo-Ann Anderson, and is situated on the outskirts of the quiet town of Troup, Texas. It has been the birthplace of dozens of white horses who have been featured in circuses, rodeos, wild west shows, and Hollywood films. Each year the ranch is a destination for equestrians from around the globe seeking to develop skills in the equine performing arts. 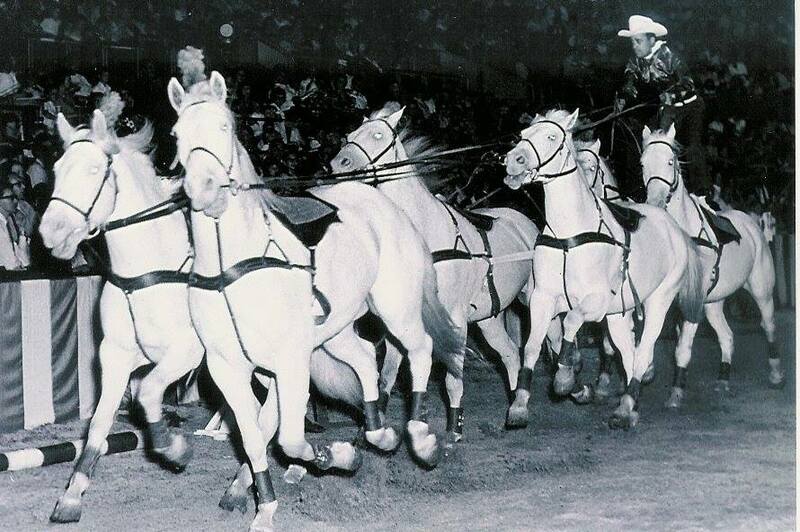 The ranch served as home base and for the Anderson's world renowned circus and rodeo acts, as well as their wild west show "The Texas White Horse Troupe," which toured from the 60s through the 90s. Today their son, Austin Anderson, carries on the tradition with his own show, "The Texas Trick Riders." On a daily basis training of all sorts can be witnessed taking place at the ranch, whether its training new acts or movie horses, or training students who come from as far as Australia, England, and even Israel just to train with Austin.